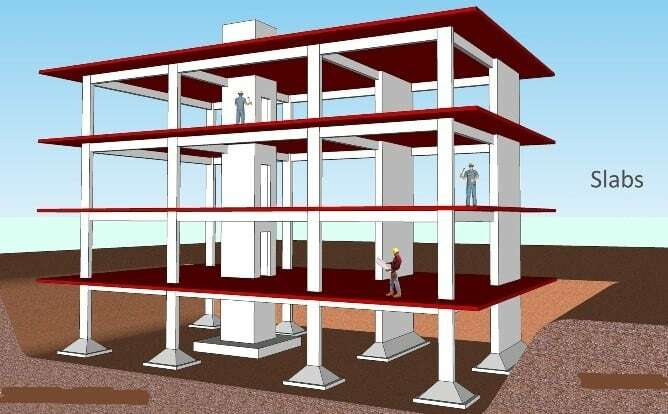 Concrete frame structures are the most common type of modern building. It usually consists of a frame or a skeleton of concrete. Horizontal members are beams and vertical ones are the columns. Concrete Buildings structures also contain slabs which are used as base, as well as roof / ceiling. 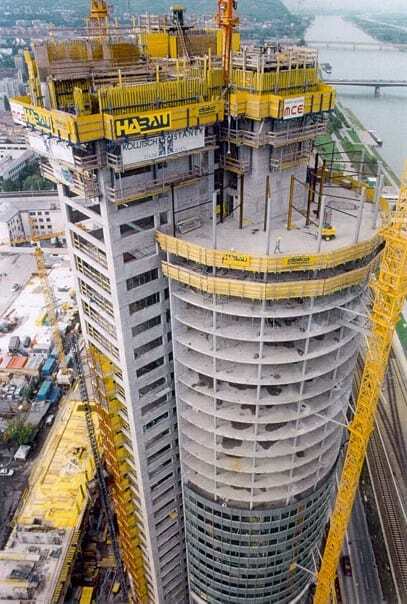 Among these, the column is the most important as it carries the primary load of the building. Reinforce concrete frame structure is actually a connected frame of members which are firmly connected to each other. These connections are called moment connections. There are also other types of connections which include the hinged connections that are mostly used in steel structures, but the concrete frame structures have moment connections in almost all of the cases. 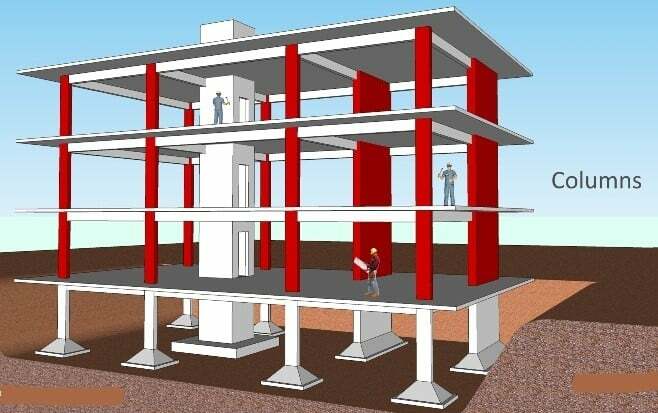 The concrete framed structure should resist various loads that act on the building during its life. These loads include Dead loads, live loads (imposed loads), wind loads, dynamic loads and earthquake loads. These are the plate element and carry the loads primarily by flexure. They usually carry the vertical loads. Under the action of horizontal loads, due to a large moment of inertia, they can carry quite large wind and earthquake forces, and then transfer them to the beam. These carry the loads from slabs and also the direct loads as masonry walls and their self-weights. 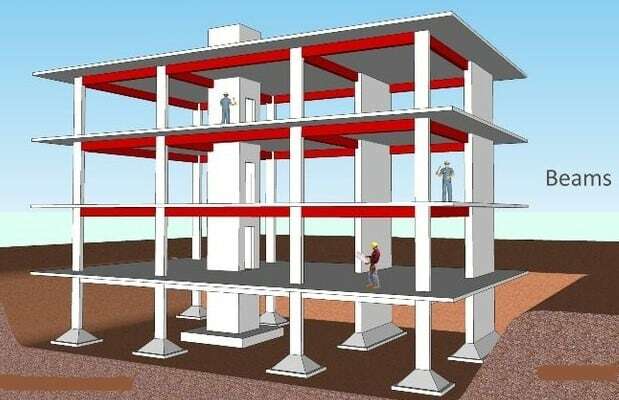 The beams may be supported on the other beams or may be supported by columns forming an integral part of the frame. These are primarily the flexural members. These are the vertical members carrying loads from the beams and from upper columns. The loads carried may be axial or eccentric. 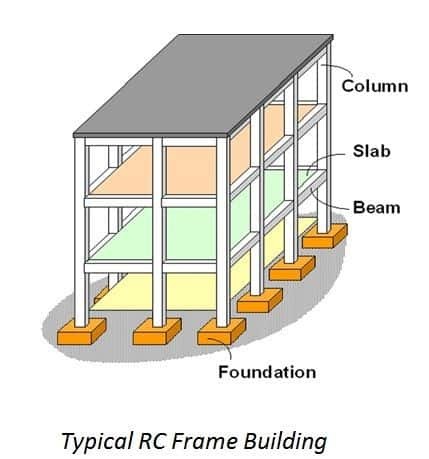 Columns are the most important when compared with beams and slabs. 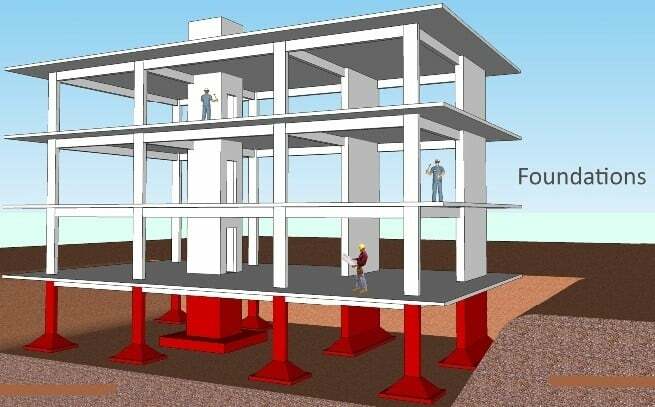 This is because, if one beam fails, it‘ll be a local failure of one floor but if one column fails, it can lead to the collapse of the whole structure. These are the load transmitting members. 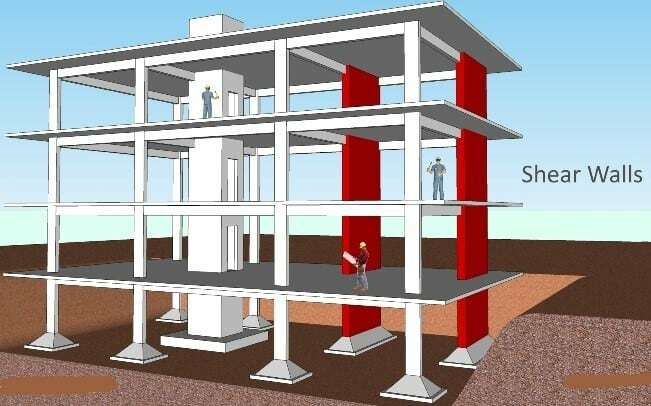 The loads from the columns and walls are transmitted to the solid ground through the foundations. These are important structural elements in high-rise buildings. 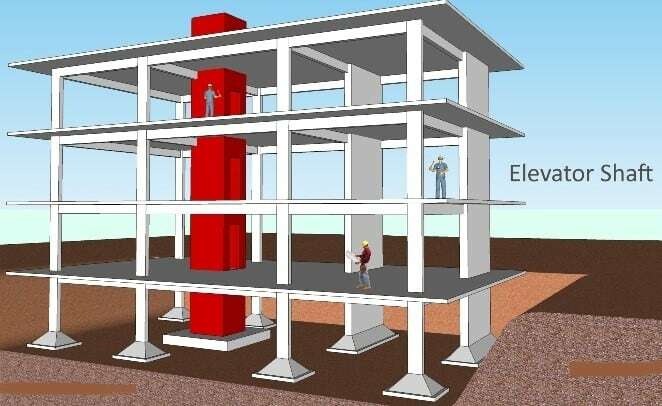 Shear walls are actually very large columns because of which they appear like walls rather than columns. These take care of the horizontal loads like wind and earthquake loads. Shear walls also carry the vertical loads. It’s an important point to understand that they only work for horizontal loads in one direction, which is the axis of long dimension of wall. These are the vertical concrete boxes in which the elevators are provided to move up and down. The elevator is actually contained in its own concrete box. These shafts act as very good structural elements which help in resisting horizontal loads and also carry vertical loads. Rigid structural frames: These frames are built at the site which may or may not be poured monolithically. They provide more stability and resist rotations effectively. The advantage of rigid frame is that they feature positive and negative bending moments throughout the structure due to interaction of walls, beams and slabs. Braced structural frames: These frames resist lateral forces by the bracing action of diagonal members. These are used to resist the side-way forces. Buildings are braced by inserting diagonal structural members into the rectangular areas of a structural frame. Braced structural frames are more efficient than the rigid structural frame. Can be erected by steel and/or reinforced concrete.